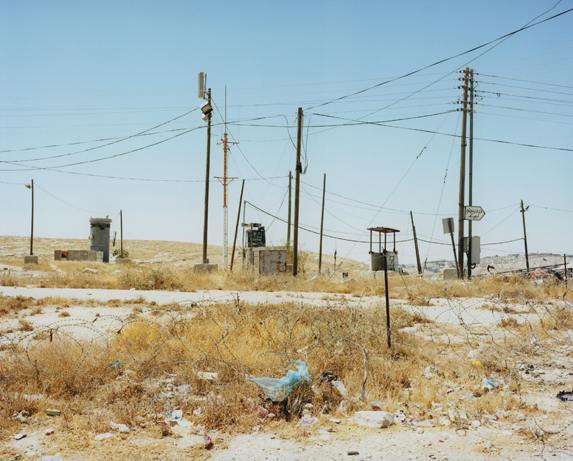 Us/Them II is a body of photographs that negotiates the massive and accelerated changes in urban and rural space and landscape in the environs of East-Jerusalem. 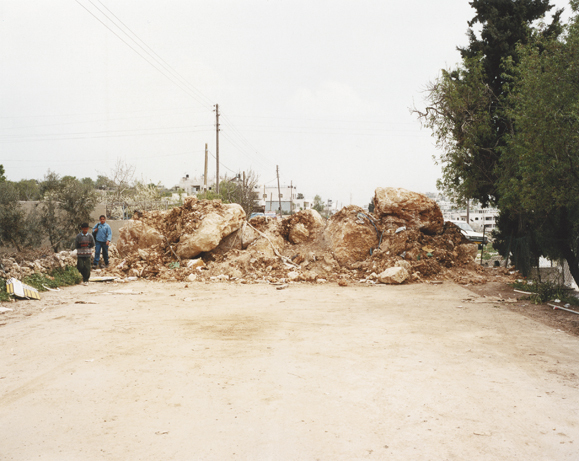 An initial set of images was created in 2001 with the beginning of the gradual isolation of Palestinian Jerusalem from its natural environment the West Bank, which provided in many ways essential quality of life for the city. In a long-term, sustainable observation effort this initial work serves as a basis for more and new photographs from 2008 that are put in comparison. The present and near future of a reality of pure apartheid dictated with all military might and economic power seems evident if one sees the segregated Israeli settlements and the Wall surrounding the city on the one hand, and the Palestinian part that is kept to its lowest development on the other. The uniqueness of Jerusalem as a place of universal values and spiritual importance is rapidly eroding. Urban planning and the insane conquest of more and more Palestinian resources have done enormous physical and psychological damage that hardly leaves room for hope in the Holy Land.